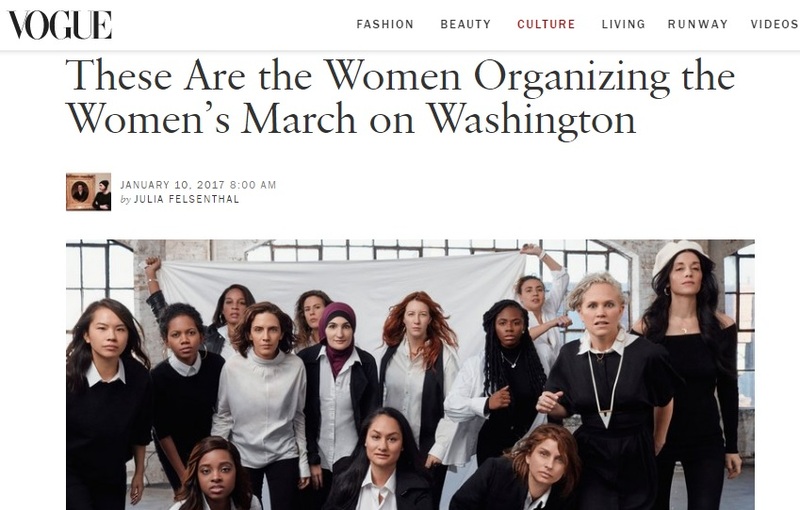 As many of you have heard, I’ve been helping plan the Women’s March on Washington. Specifically, I’ve been coordinating the Youth Initiative. It’s been quite a journey the last 3 months and we are now a week away. I’m super excited and can’t wait for Adam, our son and I to participate in this historic event. The support for the march has been incredible. Vogue did a wonderful piece on the organizers.